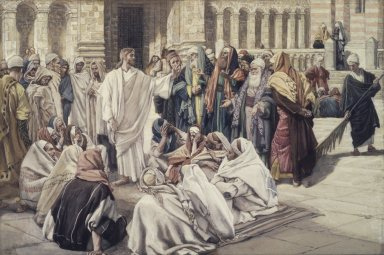 While Jesus was teaching in the Temple, he called out, “Yes, you know me, and you know where I come from. But I’m not here on my own. The one who sent me is true, and you don’t know him. But I know him because I come from him, and he sent me to you.” Then the leaders tried to arrest him; but no one laid a hand on him, because his time had not yet come. The controversy surrounding Jesus continues – is he, or isn’t he, the Messiah? Many who hear him believe, while the Jewish leaders continue to plot his demise. “I’m not here on my own. The one who sent me is true, and you don’t know him. In essence Jesus is telling the Jewish leaders and people, “I know God and you don’t, but God has sent me here to straighten you out.” Can you imagine how that would play out today at the Western Wall in Jerusalem? Jesus would be mobbed and arrested immediately, unless God intervened. 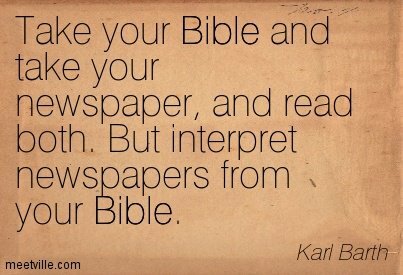 + Jesus is the eternal Word of God made human being. + Jesus’ preaches, teaches, and heals under the full authority of God. + Jesus’ physical safety is determined by the purpose of God. Is that true of you? How does that work out in your life? What helps you know Christ better? What hinders you? What helps you to make Christ known? What hinders you? With God’s help, what next step can you take? Heavenly Father: You have revealed yourself to us through your Son, Jesus Christ. Show us how we can know him more; and transform our lives, through the power of your Word and Spirit – that we might love you with our all, and love those around us as he has loved us. All to the glory of your name. Amen.